We specialize in bringing new sites to life and giving new life to old sites. Your website is often the cornerstone of your online marketing presence. It is one of only a small number of faces where you still have complete control of your message. You can intentionally craft effective, engaging content that quickly communicates why people need what you have. Honest-to-goodness Search Engine Optimization comes standard in all our development from the ground up. Your branding is consistently applied throughout the design, development, and content. Your designs and designers are welcome. We work really well with outside designers, bringing any design to life down to the pixel. You’ll hear proactive design recommendations that will make the site faster, easier to use, rank better, or better fit your brand. Your website will receive ongoing support. We stand behind our work. Most of our clients want the ability to update their online messages and content themselves. And, they want their site to work like it’s supposed to all the time. That’s why we choose to develop all our sites using the best-in-class, community-supported, open source content management system WordPress. As of this year, WordPress is powering around 15% of the world’s websites and adding more every day. Project Plan: We spend some time together understanding your goals, your limitations, your assets, and your plans. We try to raise questions not yet considered and come up with more ideas that will help your site succeed. Then, we decide on the best way forward. WordPress Content Management System: WordPress is an Open Source project, which means there are hundreds of people all over the world working on it. (More than most commercial platforms.) It is a mature and stable product used by more than 25 million websites to manage their content. It makes it easy for you to add, update, and delete text, images, video, and more on your website. We bring your design to life looking exactly the way it was designed, down to the pixel. Next, special functionality you need and behind-the-scenes smarts are added to make your site more usable and more visible in search engines. Make It Live: You will have all of the go-live tasks taken care of. SEO’d Development: Your site will have the right things in the right places to let search engines know what you should rank well for. This includes writing H1 tags into the code, coding cleanly, coding for a fast-loading site, and coding to make the most important content search engine friendly through naming, structure, and css techniques. Google Analytics: A best-in-class website tracking tool that tells you how many people are viewing your site, what they’re looking at, how they’re looking at it, and where they came from. These measurements help you understand where and how to continually improve. XML Sitemaps: This standardized document tells search engines what your site is all about and where to find your most important documents…in the end it raises your visibility in search engines, making it easier for people to find you. Cursory Keyword Research: You’ll get hard numbers on what words your target audience is using when they search for your services—how many are using which words, how much competition exists for each word in your area, and which words you should focus on. This is critical to being found online. Individual page, auto-generated title, description, and meta tags that help search engines know what you’re about and help people to find you. Sometimes your site just needs an update. Maybe your branding is evolving, maybe technology has changed, or maybe you know of some changes that will really improve it. Or, maybe you started what was supposed to be “easily building your site tonight” and have found yourself spending too much time and happiness wrestling to make things look and work like you want. 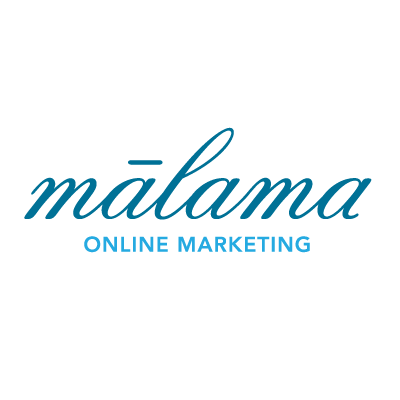 Malama Online Marketing has a web developer able to make updates or bring your site through to completion. We’re very good at stepping in, learning where you are, and helping your site transform into a valuable online marketing asset. Working with WordPress day in and day out means we know how to do some pretty specialized things with it. If you have a need for a particular functionality for either your own site or to share with or sell to an active WordPress marketplace, let us know. We have a capable WordPress plugin developer with many propriety and public plugins under his belt. We’d love to help bring yours to life.